For the most part the Lee County market bottomed out in 2009 at the height of the foreclosure boom. We had some fluctuations throughout 2010, however most agree the bottom was in 2009. It’s important to note that even though we had an influx of high levels of distressed sales back in 2009, the market was able to absorb these properties, illustrating that we have a market, even at reduced prices. Some markets don’t really have a market at any price. Detroit has been down for years and many properties don’t sell even for $1,000. The banks really can’t give them away, so in some cases they’ve just demolished the home for liability purposes. I haven’t checked on the Detroit market in a little while, but I haven’t heard any differently, although we’re certainly not Detroit experts. We’ve learned that we do have a market, and that high foreclosure rates wouldn’t last forever. Foreclosures are down significantly and we are seeing traditional sales rise. We know that distressed sales weigh down the market, as evidenced by the median sale prices of distressed homes of about $80,000 compared to the $150,000 median prices for traditional sales. 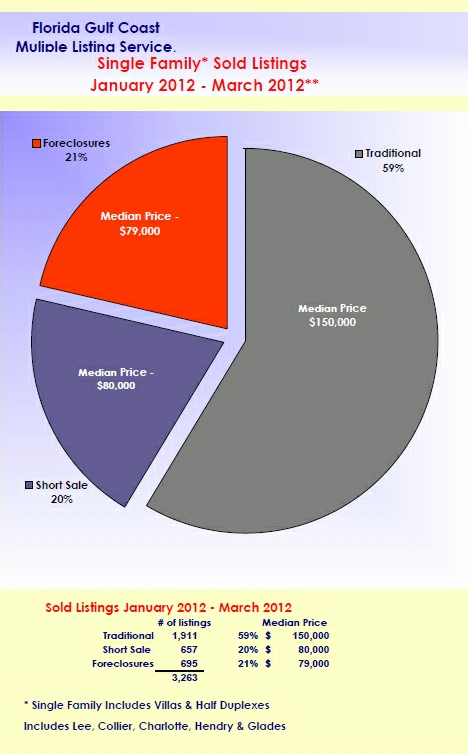 As prices keep rising more sellers who would like to sell will be able to. Inventory is down to a 3.5 month supply and has been falling steadily. Most people consider a normal market to be somewhere around 6 months supply. Anything too much above that becomes a buyers market and anything much below that becomes a sellers market. There is no question we’re in a sellers market right now as it’s not uncommon to see multiple offers on new properties entering the market that are priced correctly. 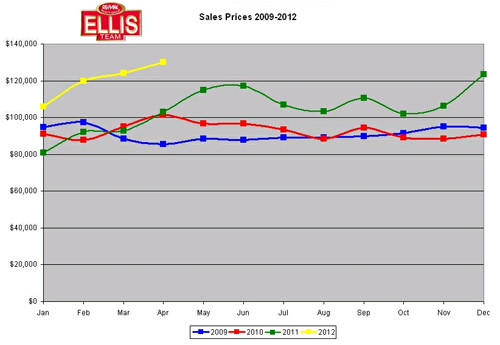 Before sellers get too excited reading we have a sellers market, keep in mind general economic conditions still apply. Buyers still must get mortgages in many cases, and the property must appraise. Incomes are not rising substantially, and unemployment is still too high. Buyers have a hard time saving for a down payment in today’s economic climate. Everything just seems to cost so much, from gas, to insurance, to groceries. A young family or single person just has a hard time saving with these conditions. If the economy were to turn around, prices could probably rise faster. Keep in mind; it’s all supply and demand. We have demand at the right price, and we have limited supply. As prices rise, we expect to see increasing supply as sellers could then afford to sell. Many cannot now because they owe more that house is worth and don’t want to take the hit to their credit report. Prices are still too low but rising. Inventory is too low and won’t rise overnight which will allow for price appreciation. Many people are upside down in the 6 figure range that a 10k or 20k rise won’t help, but as prices rise it does free up more sellers to enter the market. If our prices suddenly doubled, I assure you we’d see many more homes on the market, which is why it won’t suddenly double. Conditions today favor a measured approach. Supply and demand are in play, and if ever a student wanted to study the economic forces, the SW Florida real estate market would make for a great example. Posted in Southwest Florida Real Estate.Tagged Ellis Team RE/MAX Realty Group, Lee County Florida real estate.